Each year we offset the CO2 produced by printing our calendars. Below you will find details of the project we are supporting with our 2018 calendars. Brazil is one of the countries with the largest forest areas worldwide but also experiences massive deforestation which causes 75% of the country’s carbon emissions. Among the drivers of deforestation are activities like agriculture, ranching and logging, which are facilitated by the Amazon river as a transportation route. 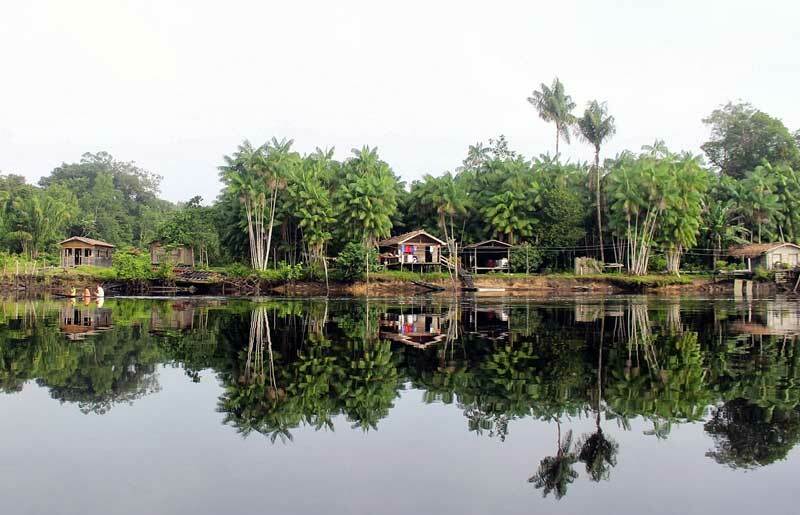 The Marajó island at the mouth of the river has been shaped by subsistence farming for many decades. The local “várzea”, a vital ecosystem, is home to ten endemic species. The Ecomapuá project protects a 90,000 ha area by banning commercial wood extraction and promoting alternative sources of income for the five local communities. It saves carbon emissions by avoiding deforestation and improves living conditions for 94 families in one of Brazil’s least developed regions. The project has initiated reforestation measures in two communities, offering training courses in seed production and sale. Another means of income generation is the planting, collection and processing of the native açaí fruit which is experiencing growing international demand as a so-called “superfood”. In addition, the açaí seeds serve as a base for biofuel production. Marajó island at the mouth of the Amazon river.